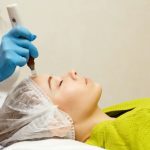 Collagen Induction Therapy (CIT), also known as medical skin needling or micro-needling, is a new minimally-invasive skin rejuvenation treatment designed to improve the appearance of fine lines and wrinkles as well as scars on the face and body. The treatment uses tiny needles or micro-needles that are moved over the skin to create tiny puncture wounds on the skin. This process stimulates the body’s natural collagen production by generating a wound healing response. The pen used is much like a fine tattooing needle, so should cause minimal trauma when creating the microscopic punctures in the skin. However, topical local anaesthetic can be used to minimise discomfort. This procedure can be performed on the face and body. 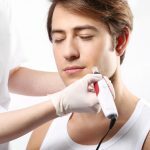 The treatment costs from £100 – £300 per session depending on the size of the treatment area and if any medical grade creams or serums are advised, this will all be discussed in detail at your initial consultation as we put together your individual treatment plan.